Music has a remarkable ability to conjure up strong emotions in people. It can cheer you up, bring you down, and in the case of boybands, cause severe anger and disgust. And it’s old; some scientists believe music even predates language, this based on flute-like instruments dug up in France, believed to be over 50,000 years old. But music is a bit of an evolutionary puzzle. It’s hard to think of any survival value it may have brought us; a niche it filled better than any other human faculty. So why do we love music so much? What’s going in inside our skulls when we hear music we enjoy? What music makes the best pick-me-up? Starting with the latter question, there are a few ways to figure out scientifically what happiness-inducing music might be. The first would be to give people a CD containing music of different varieties, and measure their happiness before and after a week-long listening binge. This hasn’t been done yet, to my knowledge. The second way would be to hook people up to devices that measure their physiological state, and play them different types of music to see what happens. A few studies like this have been done: here’s an example. But this is definitely all happening through music to your own taste – when the participants listened to ‘control’ music, that they didn’t choose themselves, there was less brain activity in these areas and fewer reports of chills. So using music to bring pleasure and happiness requires a knowledge of your own personal tastes. These internal goings on are all very interesting, but “music you like makes you happy” doesn’t really satisfy as an answer. It’s obvious: of course the music we like makes us happy. That’s why we like it. Does Jazz Flute make you happy? What we’re really asking is, what type of music, on average, brings out the most positive emotion in people. Accounting for taste is easy – you just average it out with large enough sample sizes, and look at the trends in the data. This is how psychology studies are typically done. It’s not a ‘hard’ science like physics, so researchers drown out individual differences with big sample sizes. So, what’s the utilitarian approach to happiness music? If you had a group of people, and you want to make the group a little happier overall, what’s your best bet? So for now at least, we might be stuck with the subjectivity answer. 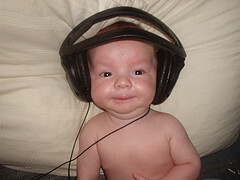 There is some evidence that our musical tastes may be innate, for example, 4 month-old babies seem to prefer consonant to dissonant music (4), but the evidence doesn’t seem conclusive. What I really wanted, but didn’t find, was a study comparing the effects of different genres on various emotions. Does jazz flute make you happy? Does emo make you depressed? Do boybands make you want to puke? Big questions, but apparently, scientists have not yet considered them a valuable addition to the knowledge base. As mentioned earlier, listening to music activates brain areas associated with memory. I’m sure you have some songs that remind you of the good times – a holiday, a particular person, a bar you used to like going to. Memories work by association, and when you hear these songs the brain areas associated with the memory turn on too, sometimes bringing back feelings along with the memories. In How to be Happier, I mentioned a study on reminiscence. It’s a strange thing to consider, but people who spend 10 minutes or so per day reminiscing about good memories of the past, became more satisfied with their life in the present. Some participants were asked to use items to aid their reminiscence; trinkets from the past that ‘brought back memories’. I don’t see a reason that music couldn’t do the same thing. By the way, you can download a short, digestible, and free pdf ebook based on the How to be Happier post here. As I’ve said before, building social relationships is among the biggest – if not the biggest – things people can do to become happier. So by extension, music will make people happier if it’s part of some social event. This will include live music, playing music in a band, or anything that involves other people as well as music. What kind of music can make you happier? (2) Goldstein, A. (1980). Thrills in response to music and other stimuli. 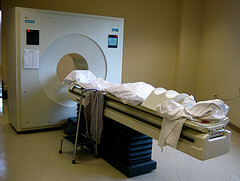 Physiological Psychology, 8, 126 –129. (3) Blood, A. J., Zatorre, R. J., Bermudez, P. & Evans, A. C. (1999). Emotional responses to pleasant and unpleasant music correlate with activity in paralimbic brain regions. Nature neuroscience, 2 (4), 382-387. (4) Trainor, L. J., & Heinmiller, B. M. (1998). The development of evaluative responses to music: Infants prefer to listen to consonance over dissonance. Infant Behavior & Development, 21, 799–806.